If you have a chance to visit this area, spend the night near the Chalet. Don't do it in a day, like we just did. 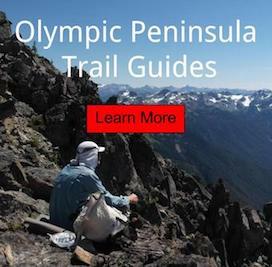 You won't be able to truly enjoy what the Quinault Valley has to offer. A photographer could spend a week here easily, any time of year. I can never get two of my hiking partners to stay the night outside. So the only way to get them to visit this breathtaking area was to fasthike/trail run the 27 miles, plust 3,200' ascent. The second silly thing, is one of them would only agree to go, if an RV was brought (thats right, an RV). I haven't been in one of those things in 15 years, if you even count it as camping. Its a far cry from hitchhiking in and out of the Park all summer. Would never hear the end of this one, but lease we were out in the Olympic National Park and getting some exercise. This was my second time doing the valley in a day and be a 10 mile increase to both partners personal longest distances. Way go go guys! Everybody was in there Five Fingers, despite the below freezing temps. There would be a 5am wake up call, to ensure we were out before dark again. Valley was frozen solid, with the lows in the 20's. Heavy frost blanketed most of the forest floor. Seen a few handfuls of Olympic Elk, but no Black Bears like I'd hoped. Trail, creek and log bridge crossing were all very slippery, still didn't stop us from having fun. Torry, BFJ and #SuperBruce all finished up for the day.